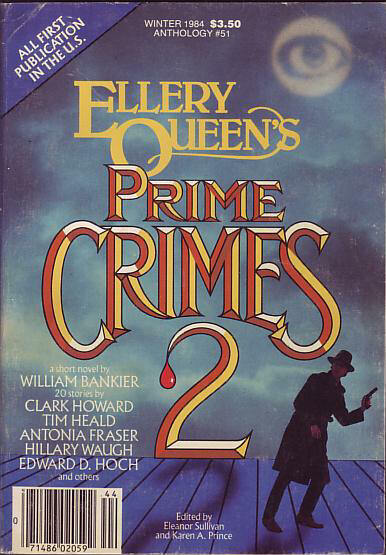 This issue is entitled Ellery Queens Prime Crimes. 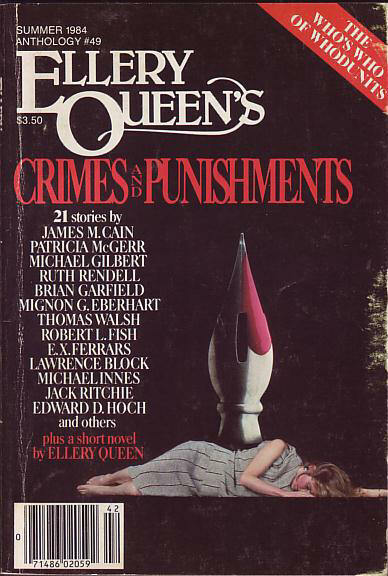 This issue is entitled Ellery Queens Crimes and Punishments and was also available in hardcover (Dial 1984, 0-385-27997-3, $12.95). 104 · Two Rolls, No Coffee · Don M. Mankiewicz · ss 1948; probably a retitling of Odds on Death (Black Mask, November 1948). 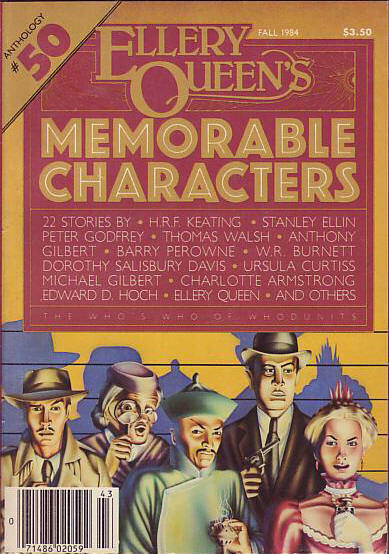 This issue is entitled Ellery Queens Memorable Characters and was also available in hardcover (Dial, October 1984). 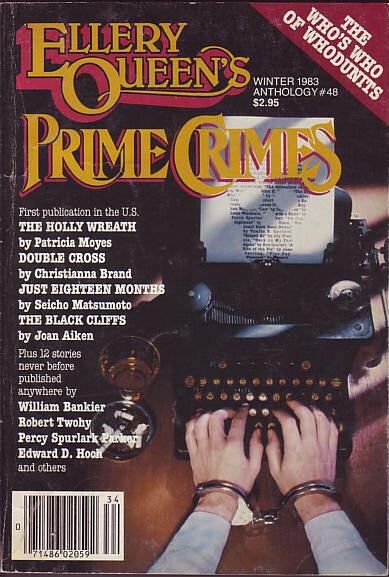 This issue is entitled Ellery Queens Prime Crimes 2 and was also available in hardcover (Dial 1984, 0-385-19644-X, $12.95). 61 · The Tree in the Forest · Melville Davisson Post & John F. Suter · ss; started by Post and finished about 50 years after his death by Suter. 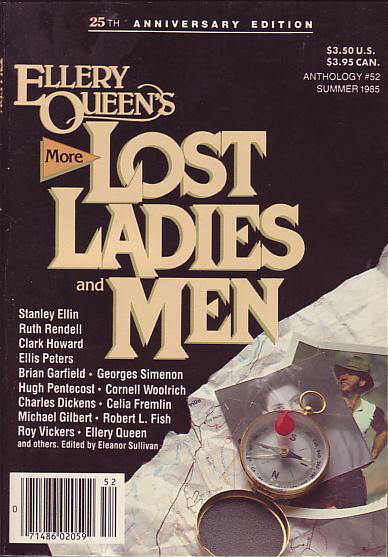 This issue is entitled Ellery Queens More Lost Ladies and Men. 117 · The Tracy Enigma [G.7] · Georges Simenon; translated by Anthony Boucher · ss Ellery Queens Mystery Magazine May 1947; translated from the French (Les 13 Enigmes, 1932). 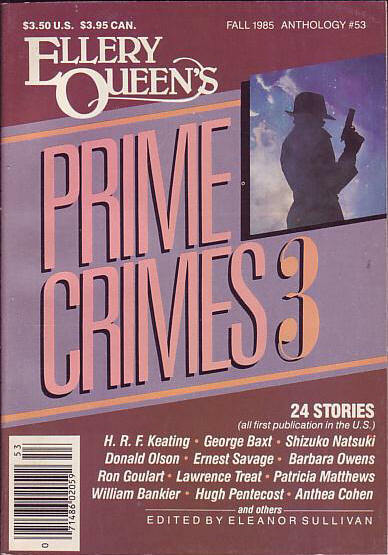 This issue is entitled Ellery Queens Prime Crimes 3. 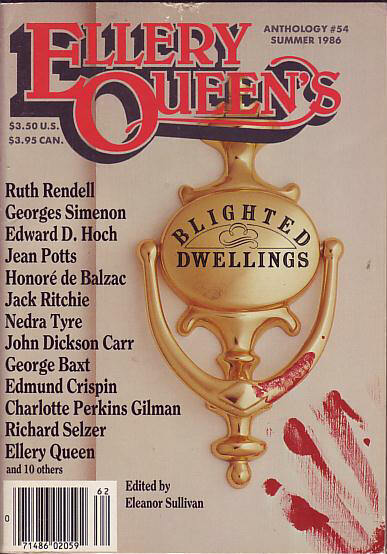 This issue is entitled Ellery Queens Blighted Dwellings. 130 · Le Chateau de lArsenic [Dr. Jean Dollent] · Georges Simenon · ss The Strand Magazine Oct 1947; translated from the French (Le Petit Docteur, 1943). 186 · The Name on the Window [Gervase Fen] · Edmund Crispin · ss Ellery Queens Mystery Magazine Feb 1953; probably first in The (London) Evening Standard. 271 · The Mysterious Mansion · Honoré de Balzac; translated by Ellen Marriage & Clara Bell · ss Shorter Stories from Balzac, Walter Scott 1890, as An Accursed House; translated from the French (La Grande Bretèche, Contes Brun, 1831). 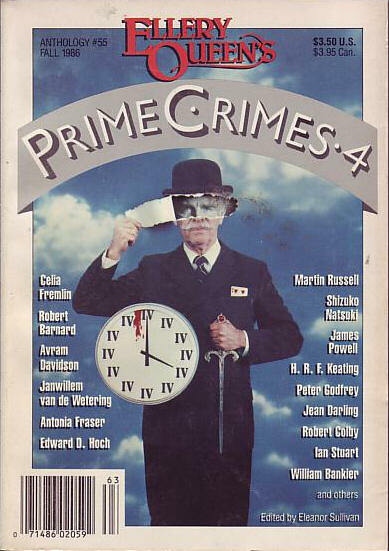 This issue is entitled Ellery Queens Prime Crimes 4. 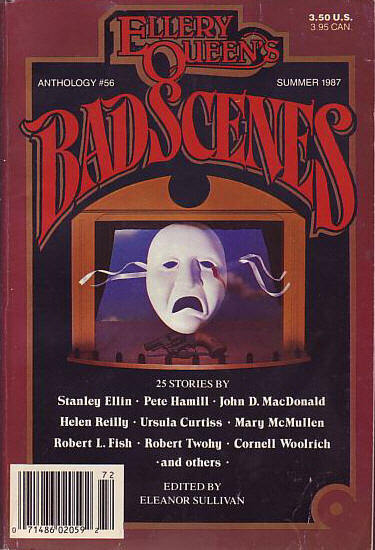 This issue is entitled Ellery Queens Bad Scenes and was also available in hardcover (Walker 1988).